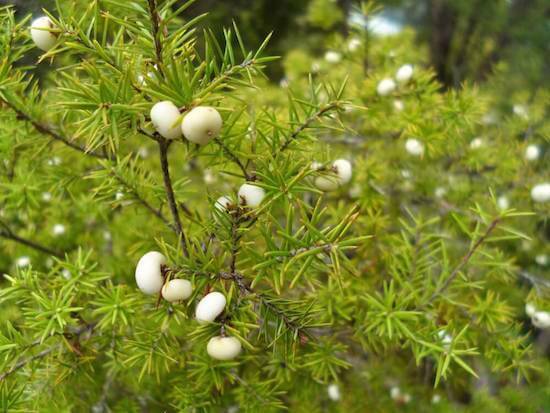 Walking the 15km Tarawera Trail is something special when you learn about the history of the place and the people first. It sets the scene so to speak. How the Tuhourangi people lived in this area. And how they shared their resources once missionaries moved in. About how they were business people, seizing the opportunity to earn money (copious amounts) by taking visitors to see the Pink & White Terraces. And how this brought about disastrous social problems as old ways were left behind. And too, how the defenseless ravages of introduced diseases laid waste to the populace. About the premonition that dark forces were closing in. And the devastation when it proved true with Mount Tarawera erupting. And about how life (what was left) as they knew it - forever changed. These stark facts don't begin to touch on the emotions, or the blood and tears shed in this area, but when you take the time to learn? That's in the back of your mind when you walk this trail. Oh, and one final fact. About how this trail? 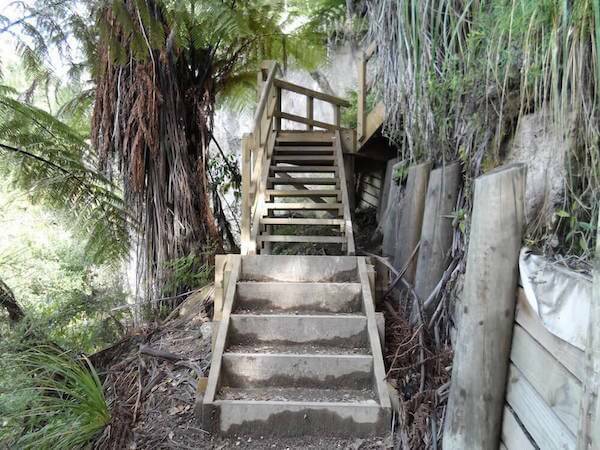 The Tarawera Trail? It means Tuhourangi are back! A couple of family members and I took advantage of a locals half-priced Tarawera Water Taxi ride one day. Instead of walking in, we decided to walk back - you can do either/or or, a round trip walk (not in the one day I hope). 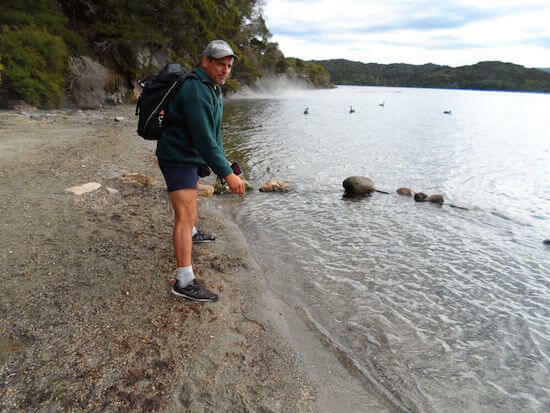 The taxi leaves from Punaromia (the Landing), at Kotukutuku Bay, and crosses Lake Tarawera to Hot Water Beach and the trail. The ride was quick, about 15-20min, but the scenery? It lingers in the mind long afterwards. Bays and fresh views unfold as Mount Tarawera stands like a sentinel to the front of the boat and Mount Edgecumbe - Pūtauaki, thrusts out of the landscape far away to the left. 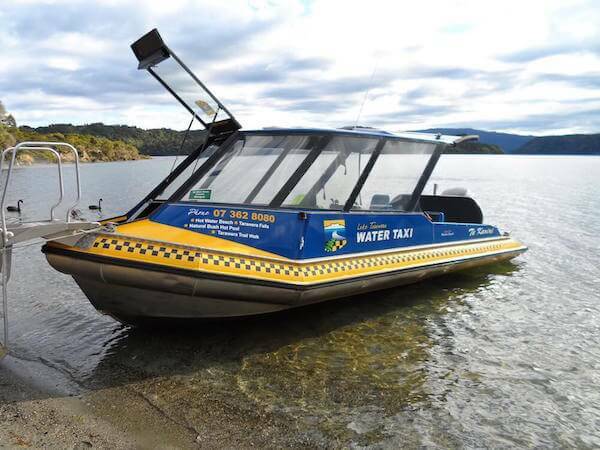 Lake Tarawera Water Taxi - need a lift? There's one problem with modern transport though. The noise leaves a lot to be desired. One can imagine the serenity accompanying visitors who once crossed this lake in row boats, to get to the Pink & White Terraces. The only noise would have been bird calls, the splash of oars, laughter and nervous chatter spiralling away on the breeze. They probably smelt woodsmoke from the fires of small villages dotting the banks too, and the distinctive scent of sulphur coming out to greet them. Over-hanging it all would have been the brooding presence of Mount Tarawera (pre-eruption in 1886). It must have made one feel quite insignificant in the larger scheme of things. Makes you see why people like camping in this area. On arrival at Hot Water Beach camping ground it was a quick toilet stop before beginning our walk. Once we found the beginning, that is - not well-signposted at the time. If you're standing on the beach looking towards the bush, the track begins on the left. The driver of our boat (are they called drivers) lied to us (insert your favourite cuss word here). He said that it was a small climb uphill, like 10min small, to get to the top of the Rotomahana Ridge. Not even. I'm sure it took us at least 20 minutes. Maybe we were extra slow. Or maybe he meant running. Take in the views to Africa - I know, slight exaggeration. 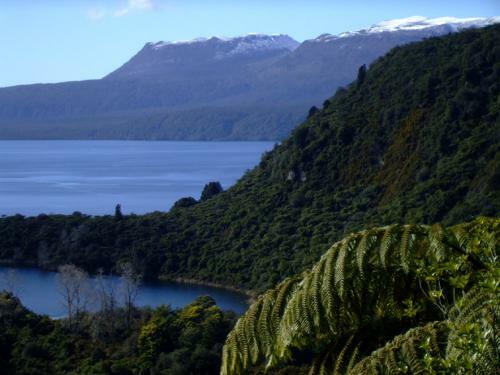 To Lakes Tarawera (above) and Rotomahana (below) at least. 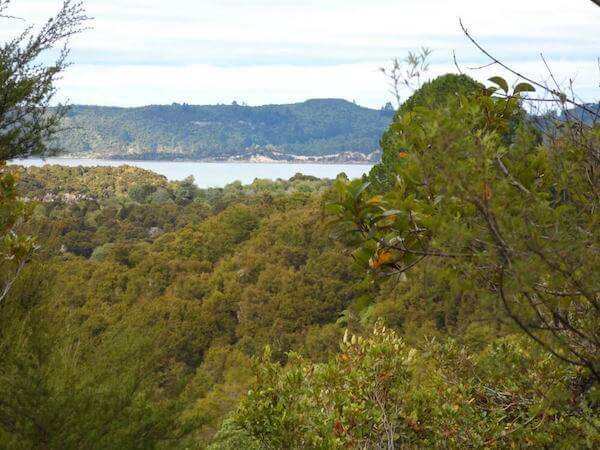 The Tarawera Trail is a work in progress but still, there are some great viewing points along the way. It's a constant uphill, downhill progression either way. Up, for the Lake Rotomahana view. Down to cross the Twin Streams. 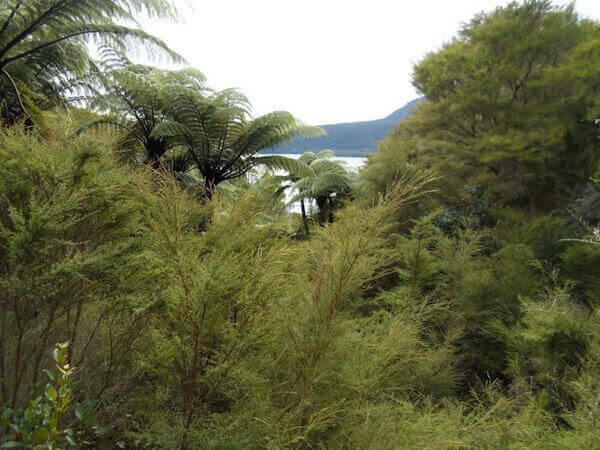 Up to see Lake Tarawera framed by lush foliage. Down to swim or wade in the lake. See what I mean? And it's like this most of the way. Couch potatoes, as an acquaintance referred to herself, can do it too (not recommended - makes it too hard otherwise). We were training to walk a half-marathon so did it in just over 3hrs. In saying that, we cut off 3km by turning off to the Fish & Game trail that takes you back to the Landing instead of the trailhead. At a normal pace it would take 5-6hrs because you throw in rest stops, savour the view stops, maybe a swim in the hot pools. You'll see where with the information panels. People passed us who were out on training runs too. Who does that? No vehicle, no problem. Take a load off and prepare to be entertained by splashing down in a World War II amphibious craft, taking to the sky (helicopter, floatplane?) or cruising the streets with one arm, bent at the elbow, casually hanging out the window. Ha, ha. See more with a selection of tours I've put together on my Viator partner page. From the Information Centre in Rotorua, head south on Fenton St until you get to the major set of lights with the bright yellow Pak 'n' Save supermarket on one corner and McDonalds on another. 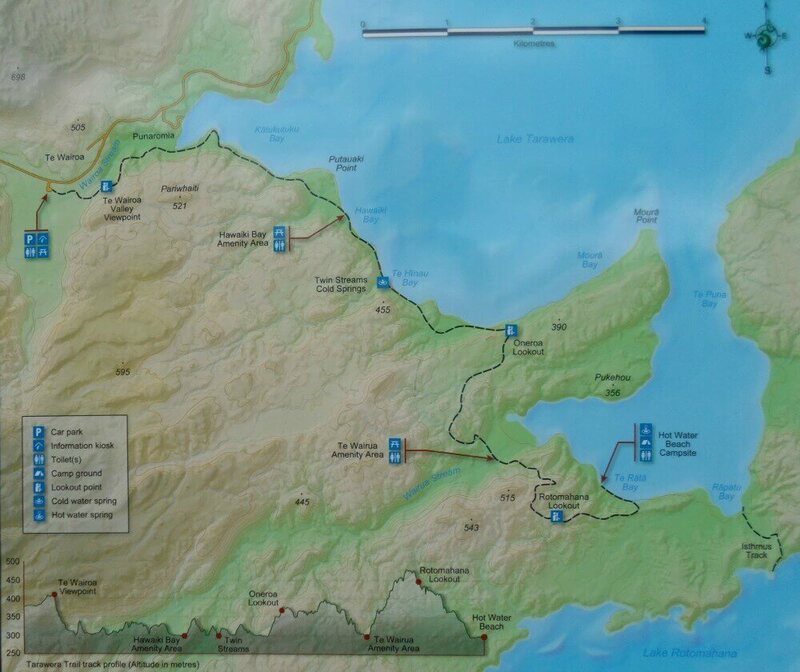 Along the way you will pass the Redwoods, the turn off to Lake Okareka, Blue & Green Lakes and Buried Village. Phew! So much to see and do. On the google map, the directions take you all the way to Lake Tarawera. The red marker is the Te Waiora car park where the walk begins. When I first saw where the car park was situated I thought it really weird. It's plonked in the middle of a field in the the middle of nowhere. Not even at the lake! Taking a calculated guess, if the trail gets the amount of walkers expected (in excess of 33,000yr) it makes sense to have parking away from the Landing. That area is small and wouldn't cope with the volume. It struggles now with boaties and swimmers having to park their vehicles way, way up the road in summertime. 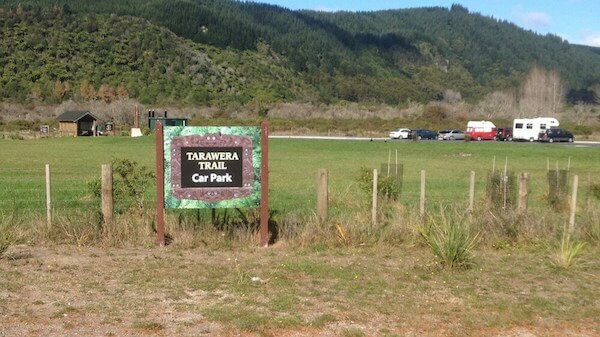 Toilets can be found at Te Waiora car park and sprinkled along the trail as well as at Hot Water Beach. Hot Water Beach campground has no facilities apart from toilets. Not even fresh water. Access is by boat or walking in. Bookings can be made online at Whakarewarewa - The Living Māori Village. It's a great place for families to stay over the summer period. Don't know that children would enjoy the walk overmuch. Maybe water transport would be the way to go. A little side story. A girlfriend of mine used to live at one of the nearby lakes. One year she rented her house out for the holidays and kayaked to Hot Water Beach for her holiday. Make money while on holiday. That's thinking outside the box, don't you think? On that note, all that's left is for you to enjoy your walk. Any questions, you know what to do. Send me an email.